Welcome to Bail Bonds in Madera | Call 559-674-0444 Now! ¡Sí, Hablamos Español! Bail Bonds in Madera has always been providing help and assistance with bail bonds at the highest quality standards since our founding in 1987. With plenty of experience under our belts, our potential clients tend to reach to us by recommendations and referrals. Therefore, they know exactly what kind of collaboration they will have to face, not to mention our a top notch level of service and professionalism. We understand how this can be a stressful and confusing situation. Let us reduce your stress as our professional and fully licensed bail bondsmen walk you through the bail bond process, answering all your questions. Our bail bondsmen have many years of experience, getting clients released from jail all across California. Bail Bonds in Madera are open 24 hours a day, 7 days a week (including holidays), with bail bond agents ready to serve you. You can also reach us by calling 559-674-0444. Are you looking to bail a friend or family member out of jail, but are worried about the cost? Do not fret, Bail Bonds in Madera can help you out. We have been making bail bonds cheap and affordable for Californians for the last 30 years. So few people have any knowledge about bailing a person out of jail with a bail bond, and that is understandable. Most people believe that they will never need to bail someone out of jail. When trying to bail someone out of jail, it is important to know how much it will cost to get a bail bond. It would be hard to get the money together without actually knowing how much is needed. 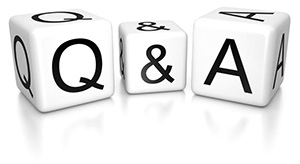 Have more questions regarding bail and bail bonds? To learn more about our services, feel free to call Bail Bonds in Madera at 559-674-0444 or Chat With Us now. Consultation is always FREE!